Today's "3 Questions" series features Noah Isenberg and his work We'll Always Have Casablanca. Mr. Isenberg is director of screen studies and professor of culture and media at The New School, the author of Edgar G. Ulmer: A Filmmaker at the Margins, editor of Weimar Cinema, and the recipient of an NEH Public Scholar Award. He lives in Brooklyn, New York and will be in the Upper Valley for the summer teaching at Dartmouth College. Mr. Isenberg will appear at the Norwich Bookstore at 6 pm on Thursday, June 29th to discuss We'll Always Have Casablanca. Please note that this event is a discussion circle, a more informal event than the store's Wednesday evening speaker series. However, advance reservations are still recommended. Call 802-649-1114 or email info@norwichbookstore.com to reserve your seat. Chinua Achebe’s Things Fall Apart, which I first read as a teenager living in Stockholm, Sweden (it was part of the International Baccalaureate course in world literature), taught me the power of storytelling. Susan Sontag’s Under the Sign of Saturn introduced me to the exquisite craft of the essay and the central role of the critic in cultural, aesthetic, and political debates. And Franz Kafka’s The Trial for its ability to haunt, to transport, and to captivate the reader. 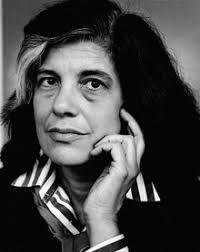 I’d like to have (had) coffee with Susan Sontag, to discuss with her the life she led during her years as a novelist, playwright, critic, and filmmaker. I’d want to know more about her teens in North Hollywood and about her college friendship, at Chicago, with filmmaker Mike Nichols, and about her extraordinary work as an essayist.